Should You Move or Improve? There can be any number of reasons why you’re not 100% happy with your home. Perhaps you don’t have enough room. Maybe you don’t like the area you live in. Perhaps you would like to downsize. There are two options to consider, of course. You can either move to a new home or improve the one you have. Each option has their pros and cons and a lot will depend on the state of the housing market at that point in time and your particular needs. It is exciting moving into a new home. It’s empty and waiting for you to add your personality to it. If you’ve upgraded to a larger house or flat, there’s more space to play with – you might want an extra bedroom or a brand-new home office. You might have switched from a new build to an older house full of character or vice versa. Then there’s the new area and getting to know the neighbours. All this can be pretty exciting. Of course, moving costs money and it can be one of the most stressful experiences we go through. There is not only the deposit and mortgage to find but estate agent and solicitor’s fees to consider. Then there’s the big move, getting all your belongings from A to B. You might be leaving close friends and family behind or you may be moving into a property that needs a good deal of work doing to it. More and more people are looking to improve their home instead of moving to a new location. There’s a lot you can do to spruce up the old homestead. Decorating and putting in fresh carpets can make a big difference. A new kitchen design or even an extension or a garage conversion might be on the cards. If you have a loft, there’s space there to not only create more room but also add some extra value to your home. What you can achieve, however, may well be limited depending on your budget and the space available. You will need planning permission if you are going to undertake something major like loft conversion or an extension and that can often be difficult to obtain, especially on older properties. Renovations can be hard work and disruptive, as well as being costly. If you don’t have the right skills, you’ll have to get trades people in to do it for you. Once it’s done, however, those improvements to your home can add a whole new lease of life. A lot depends on your individual circumstances and location. You need to consider all the parameters and come to a sensible decision that works for you and your family. Will you miss your neighbours if you move? What about the children’s school? Will building an extension take too much room out of the garden? Weighing the pros and cons is always important. The best idea is to put together a list of what you really want. Then add in the solutions and a list of pros and cons for each. Once you can see it written down in black and white, it’s usually easier to reach the right conclusion for you. This blog follows the property market in Northampton. You'll find tips, guidance, and analysis that relates specifically to the property market in Northampton. You will also find properties from all the estate agents in the town on here that may make decent investments. I run Northwood here in Northampton and if you're thinking of buying a property to let in Northamptonshire, I'm happy to offer a second opinion. Hi and thank you for reading this blog. 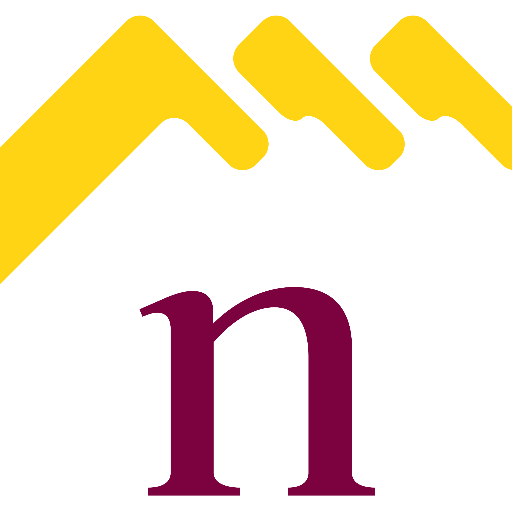 Northwood have been in the Northampton property market since 2002 and as such we want to be able to share our knowledge of the local property market in Northampton with our landlords and home owners. On our blog we are delighted to bring you current property deals, as well as relevant market information. Feel free to connect on any of the social platforms below or contact me directly at samanthadenness@northwooduk.com or 01604 607080. I am very pleased to now be a part of the Northampton Property Blog, allowing me the chance to share potential deals and information with all those interested in investing in Northampton, or those who are just keen on understanding their local property market. I love being able to share with you my own knowledge of the Northampton market and potential rental deals that I have found available to all those looking to invest here. My blog follows the #NorthamptonProperty market. You'll find tips, guidance and analysis that relates specifically to #Homeowners & #Landlords in #Northampton. Copyright © 2019 The Northampton Property Blog. All Rights Reserved.